Connor and I posing backstage at the Wild Horse Pass Casino with Curt Smith (left) and Roland Orzabal (right), also known as Tears For Fears. 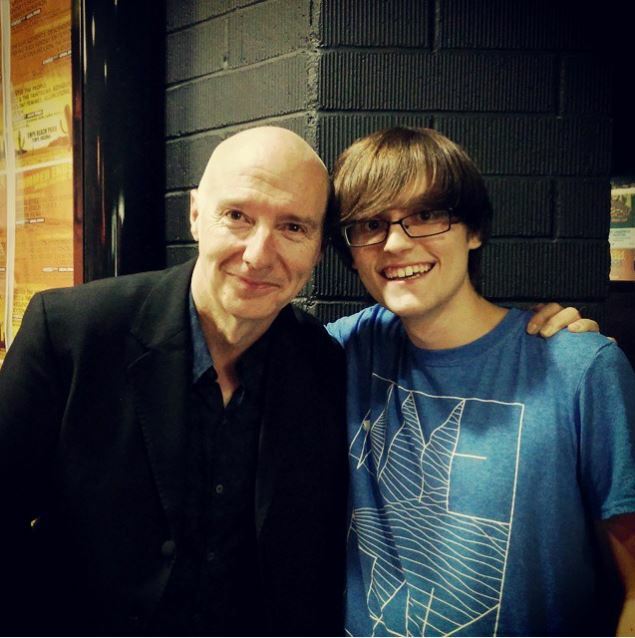 Last Friday I blogged about the pleasures of a father sharing his love for music with his son, sparked by the Tears For Fears show that night at Wild Horse Pass in Chandler. The post apparently touched a few readers and it got shared quite a bit on Facebook and Twitter. Well, we had no idea it would lead to such a memorable moment for my son Connor and I, but that it did. 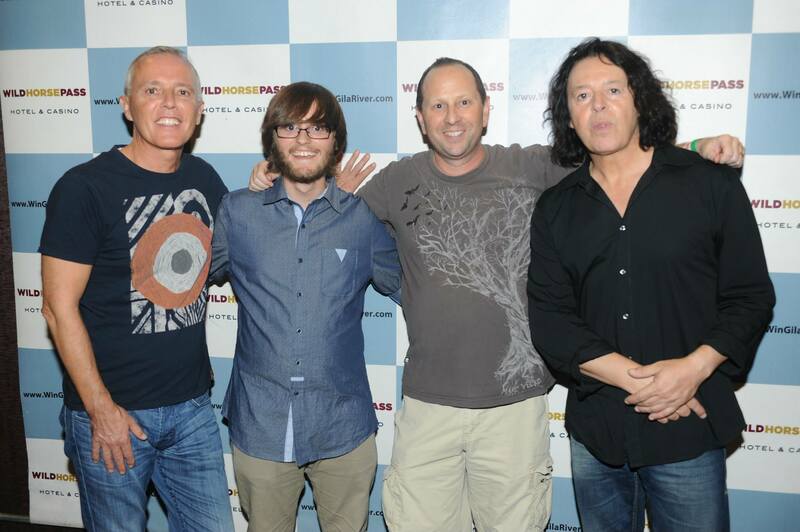 Here’s the story that led to this incredible photo of Connor and I back stage with Curt Smith and Roland Orzabal. One of my friends, Barb Harris, shared my blog post with her friend Eric Schaefer. I didn’t know Eric, who lives here in the Valley, but apparently he too is a big Tears For Fears fan and somehow over the years he had befriended none other than Curt Smith. Well, Eric enjoyed my blog post so much that he tweeted a link to Curt Smith. A little while later, I had two new followers on Twitter — Eric and Curt! Imagine how I felt when I was notified that I had a new follower and it was one of my musical heroes! But the story gets better. A few hours later, Eric sent me a note that there would be two backstage passes for Connor and I at the box office and that after the show we were going to get to meet Tears For Fears. Eric and his daughter went to the venue early to meet up with Curt and apparently Curt was touched by my post. Needless to say Connor and I were thrilled. We drove over to the venue, picked up our passes, and went into the theater to watch the show. He proceeded to give Connor a hard time about having a beard, then we chit chatted a bit while we took our photo. Roland was quite shy, but I decided to put my arm around him anyway! Curt seemed genuinely pleased to meet Connor and it was certainly more than we expected. He gave Connor a nice firm handshake as we left and thanked us for coming. As we walked out of the theater we couldn’t believe how the day turned out. It was a father-son bonding experience that we will never forget. That’s the thing about social media — you just never know who might be paying attention.